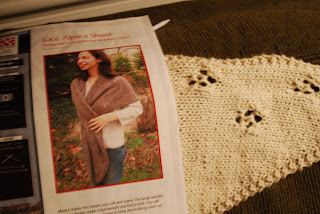 I have started another lace alpaca shawl. The pattern is from Kraemer Yarns (free online) and I used their alpaca yarn the last time but I bought this yarn in St. Petersburg, FL, when I was there in October. Actually, this yarn never saw St. Petersburg. I ordered it at a litle shop there and it took 6 months for it to come. I kept calling and kept being told it was "back ordered". But it finally came and it's gorgeous. I wish I had more time to work on it. I haven't been knitting much lately but not because I don't want to. I'm still playing a little with my camera. 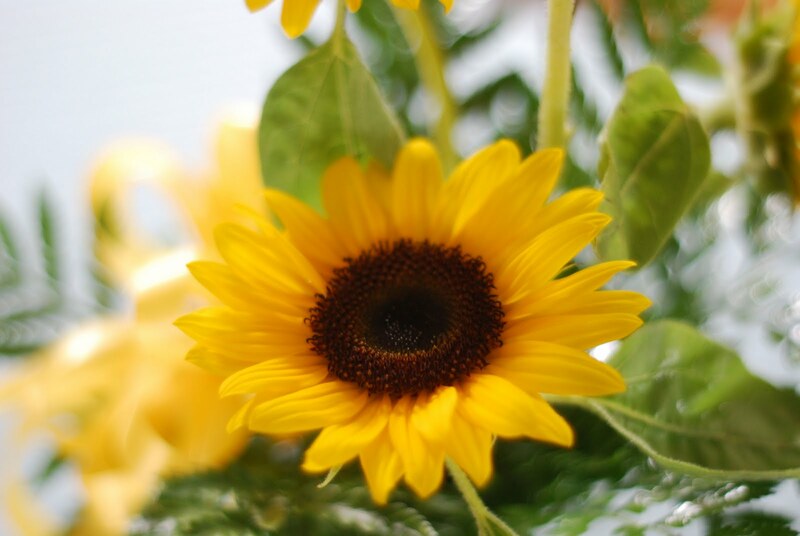 Below is a shot of my mother's day flowers from Michael. I love how the 50 mm. lens blurs the background. I wish I had more time to play with this new hobby too. It's slow learning when you don't have time to experiment. This weekend we will celebrate Colin's 4th birthday and Clare's 2nd birthday. Where did the last 4 years go? It was gone in the blink of an eye.